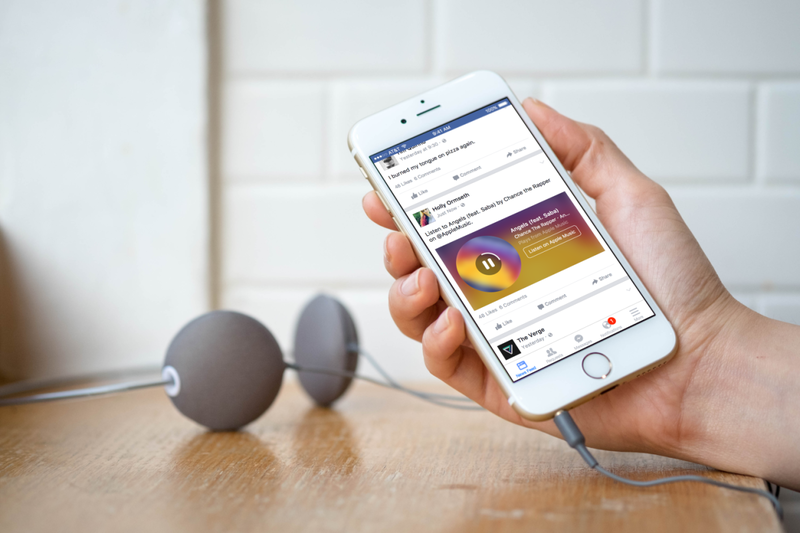 Facebook has updated its audio-focused ‘Music Stories’ — available on iOS — for both content and function, giving users more options in streaming live music on a platform today. In a blog post update by Director of Product Michael Cerda, the company announced that the feature now supports music previews streamed from Deezer, Rhapsody and KKBOX, joining Apple and Spotify. Music Stories will also preview podcasts from NPR’s network. Additionally, the Music Stories now have a “Listen & Scroll” function to allow users to continue to listen to content without worrying about losing it in the Newsfeed or while browsing around on Facebook. Facebook launched Music Stories in November, with former Vevo executive Cerda at the helm. Since it went live, the team also announced that it would make previews of the much-hyped second season of mystery podcast Serial available, complete with a complementary piece in Facebook’s Instant Articles format. Currently available for iOS, Cerda also noted that Music Stories will begin rolling out on desktop.